I love making wine labels, especially for small producers. They are a little more courageous in developing their image so, as a designer, you have some room to innovate. 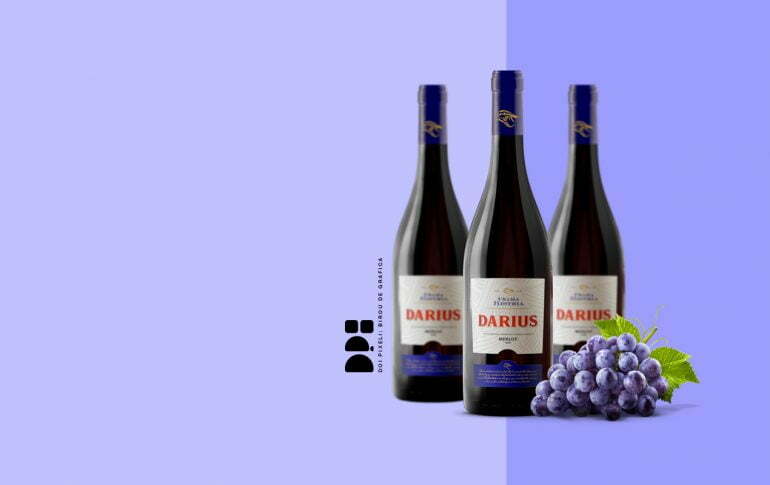 The concept behind the DARIUS Label is HISTORY. The ancient tradition of Histria, the oldest recorded Romanian town, should be a reflection of the brand. Darius the Great influenced huge chunks of geography including the town of Histria in it’s heyday. I am also a great fan of the colour blue in wine labels. It is more rarely used and makes the label pretty unique. The colour also enforces the brand. Histria comes from the ancient name of the Danube river and it’s located on the Black Sea shore.